Today: All you need is a glass of rosé to complete this light, satisfying, warm weather meal. Stew is to winter what crisp salad is to summer: It's the dish I crave when I'm dealing with the weather and the moods that come with it. 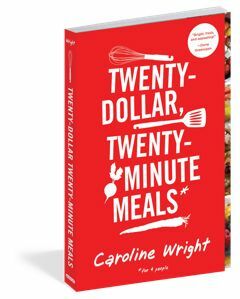 This salad is delicious, and the recipe is adaptable to whatever you bring home from the market. Feel free to switch from chicken to a meaty, grill-worthy fish, or to swap the spinach for another green of its character and class. 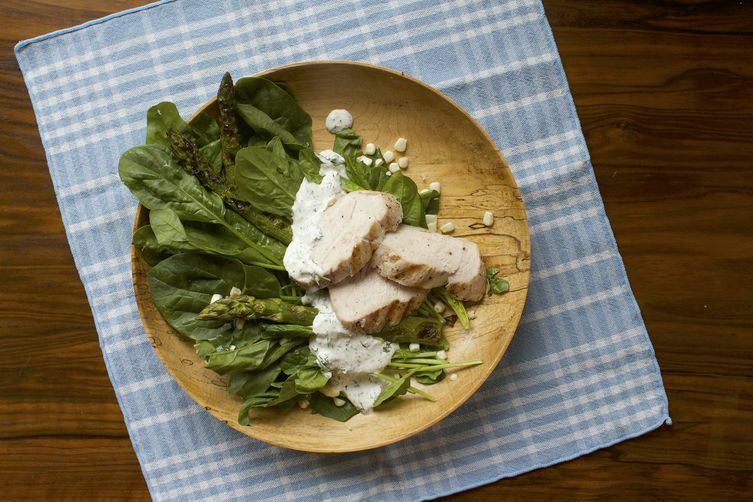 Whether you cook this salad as written -- grilling the chicken and asparagus alongside each other and serving them on a bed of spinach with a dilly dressing -- or come up with your own variation, you will find yourself full, happy, and cool. The accompanying glass of rosé, absent from the ingredient list but altogether assumed, really makes this dinner complete. Sounds delish, perfect for summer. This would be a great dish to serve at a impromptu dinner with friends. Thanks for the recipe!